Wednesday night saw indie rock royalty The National pull into Massey Hall for the first of three sold-out shows. Having seen the band a half dozen times, I have yet to go away disappointed. However, maybe it was the fact that it was the first night and they wanted to conserve some energy, but the performance was far less intense than most of the one's I've seen in the past. It was far more workmanlike, hitting all the right spots, but not really swinging for the fences (to mix metaphors). The focus was on new material, particularly from last year's Trouble Will Find Me. The set opened with the quasi-hit "Don't Swallow The Cap", and sprinkled "Demons", "I Need My Girl", "Graceless" throughout. The reverberating "I Should Live In Salt" is undoubtedly the Trouble Will Find Me track that translates most effectively to the stage. Things got ratcheted up with the screamed-out "Squalor Victoria" and "Abel". The guitar and lights display of "Ohio Bloodbuzz" was gripping for the audience. It was the the Boxer-era songs that were obviously the biggest hits with the crowd. "Slow Show" melted hearts and "Fake Empire" was one of the evening's most lovely moments. High Violet's sentimental "Afraid of Everyone" and "England" weren't far behind. Every time I see The National I come away with another song that strikes a cord with me. In the past, "England", "Daughters of the Soho Riot", "Available", and "Vanderlyle Crybaby Geeks" have all filled that role. This time around, it's an older tune, Sad Songs for Dirty Lovers' "Lucky You" that wormed it's way into my head. 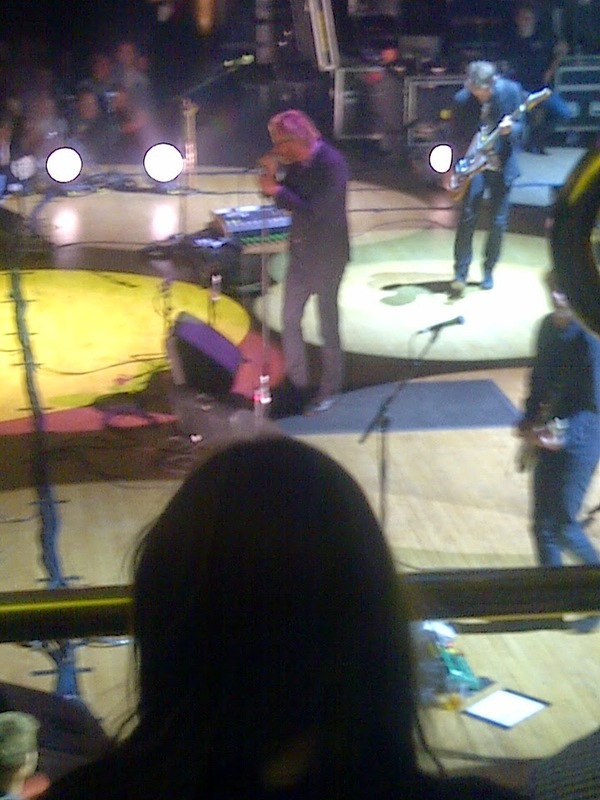 The show ended with a stellar encore, which included a cacophonous "Terrible Love", and Berninger's crowd-braving excursion that comes with each rendition of "Mr. November". The final song, the acoustic(ish) singalong to the aforementioned "Vanderlyle Crybaby Geeks" sent me home in my sentimental happy place.